Miniaturization to the nanometer scale has been one of the most important trends in science and technology over the past decade. The chemistry to fabricate nanolayers, the engineering for nanocomposite design and the physics of nanostructure properties have created many exciting opportunities for research. These new interdisciplinary areas in nanoscience and nanotechnology supersede the more traditional disciplines and demand new paradigms for collaboration. University of Colorado’s S.M. George Research Group focuses on ALD (Atomic Layer Deposition) and MLD (Molecular Layer Deposition). Specifically, they are researching the fabrication, design and properties of ultrathin films and nanostructures. They are developing new surface chemistries for thin film growth, measuring thin film growth using in situ techniques and characterizing thin film properties. This research is relevant to many technological areas such as semiconductor processing, flexible displays, MEMS/NEMS, Li ion batteries and fuel cells. Their research bridges many disciplines and they have collaborators in the Departments of Chemistry, Chemical Engineering, Mechanical Engineering and Physics on campus and many others at universities, industries and national laboratories off campus. This is a TEM image of 60 nm ZrO2 particles coated by ALD with Al2O3. This work was done by Jarod McCormick. A special project directed by senior research associate, Andrew Cavanagh, required a vacuum chamber 9 feet in length, numerous side ports with critical alignment, sufficient rigidity to maintain locational tolerances during process, and precisely aligned rail system for trolley that moved back-and-forth inside the chamber. Applied Vacuum Technology and its parent company, Anderson-Dahlen, collaborated to provide engineering and fabrication support for this custom vacuum chamber which Cavanagh needed in order to carry out his ALD research. AVT specializes in UHV chambers, assemblies and components. But the overall length of this chamber exceeded their CNC milling capacity. Fortunately, Anderson-Dahlen also manufactures vacuum chambers and can manage much larger scale. Our engineering groups collaborated to account for critical features of this ALD process chamber, including mechanical and stress analysis, in order to provide design suggestions to the customer and assure their deposition sources and in-vacuum motion would function effectively. Ultimately this large ALD chamber, rail and lids were delivered to Cavanagh's lab in Boulder, CO on an extremely tight timeline and with very good results… and the research project is advancing nicely! Applied Vacuum Technology offers more than 25 years of experience fabricating custom chambers and related products for high and ultra-high vacuum applications. We provide a wide range of products, from large chambers and baseplates to small flanges and precise components. We also provide Engineering consultation for design and manufacturability. Our design and manufacturing resources will help take your requirements from initial concepts, to fully engineered designs, to completed and tested products ready for use. 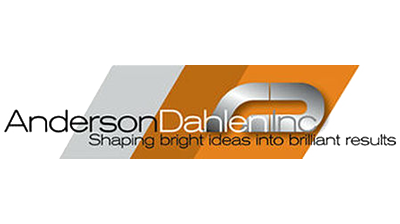 Anderson Dahlen has more than 4 decades of experience in custom stainless steel fabrication. Our expertise in metal forming, large capacity machining, and welding are ideal for manufacturing vacuum chambers. We have substantial engineering and manufacturing resources to support custom fabrication requirements for a wide variety of applications.